Mrs White is the leader of the flock and a perfect example of one. She is intelligent, quick to learn, friendly but not too soppy! Lambs beautifully, always a fab mum. Mrs Brown is VERY friendly, loves a chuckle loves her food and is always the last to wander off back to the rest of the flock. Lambs easily and is a great mum. Muckle came to us in Aug 2016 and very quickly became the sheep that follows. She seems as keen on food as on chuckles under the chin. She is a VERY sweet ewe. Ness always looks very serious but is a sweetie. She is quite an independent sheep but still enjoys a good chuckle if she is in the mood! She is very dark with a densely packed but soft fleece. Bressay is confident and happy to be at the front of the flock if she thinks there might be something in it for her. She is not adverse to jumping up at you as well (bad girl). She is a Moorit gulmoget. Whalsay (another Moorit gulmoget) is not quite as confident as Bressay but follows in her footsteps (she's not daft). She enjoys a chuckle as long as everything is nice and calm. We began with Badger Face by default back in Cornwall simply because they were available when we were looking but we fell in love with the breed very quickly. They are such good looking sheep, make excellent mums and our two are so easy to handle. Our choice of Shetlands when we moved to Devon in 2016 was very deliberate (when looking for sheep this time we had sooo many to choose from). 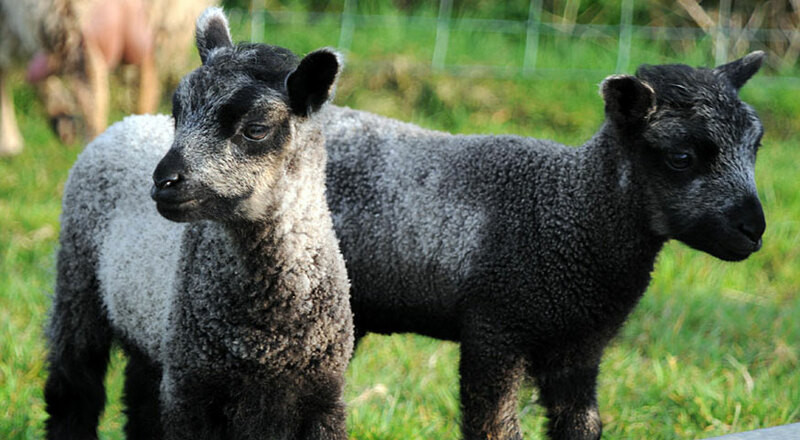 We love all the different colours of the Shetlands as well as their compact size. Our plan is to breed Shetlands for a few years and see where that takes us. We would like to breed pure Badger Face too at some stage and hope to be able to keep ewe lambs from both Mrs Brown and Mrs White and so keep their lines. We sell a fair few lambs each summer, both pure and crosses, as well as raising some for our meat boxes and our own consumption!